functional lab testing done in the privacy of your own home uncovers healing opportunities in the form of hidden stressors and dysfunctions in your body. For decades we’ve been taught that creating health is as simple as popping a pill. Unfortunately, that just isn’t the case. While it’s true that in some situations medications and supplements can save lives, the reality is that you’re never going to out-supplement a poor lifestyle. It’s also true that “absence of symptoms” doesn’t necessarily mean “good health”. 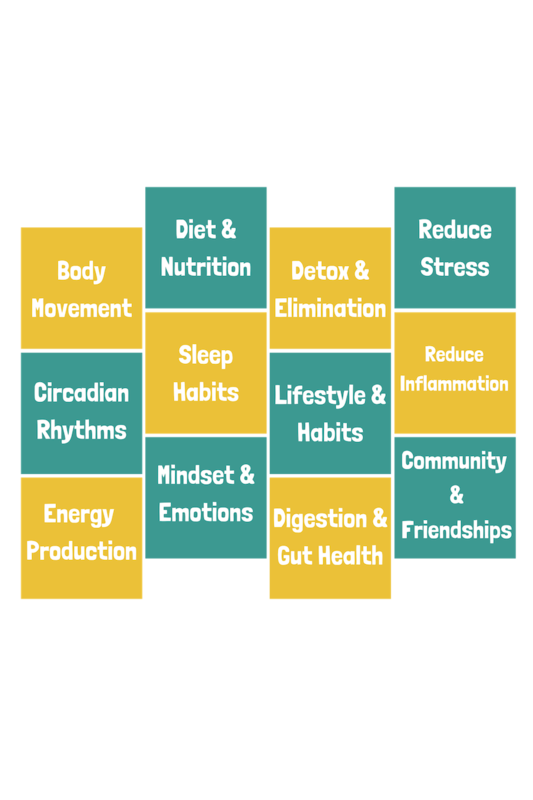 The Vitality Project focuses on addressing the 12 Fundamentals of (r)Evolutionary Health so you can live your best life. have more questions? get the details here.